Have you considered block driving lessons? Whilst learning to drive, there are more options than there has been in in the past with regards to the way you choose to carry out your lessons. Traditionally, driving lessons would be a weekly occurrence where you can slowly but surely build up your driving experience and knowledge to become more confident on the road, over a long period of time. This has always been seen as a sound method of learning to drive and this approach is still used frequently. In driving, as with everything, people learn in different ways and at different rates. This way of driver learning isn’t always the best for those who are prone to forgetting things over time and those with a short attention span. This way is also not great for anyone in a hurry to pass their test for whatever reason. Younger people and new learners often want to pass as soon as possible so that they can make the most of the independence that a car gives you. If any of this rings true for you, then you might well be better of with a block driving course. This kind of course involves a group of block driving lessons all in one go. 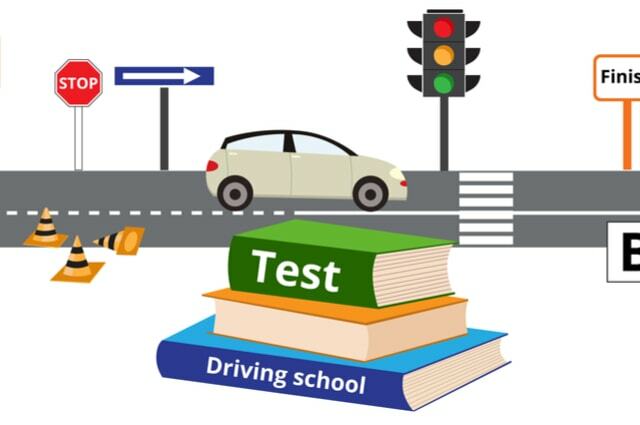 There are little to no gaps in between lessons and all of the knowledge you need to drive your driving test is passed to you in that very short period of time. Whilst many people see this as the equivalent of ‘cramming’ for a test it has proved effective for some in the past. No time in between lessons where you could potentially forget how to carry out some of the skills needed to pass the test. Lessons will be all carried out in the same car by the same driving instructor giving you a consistent teaching method and environment. Block driving lessons can be cheaper as there are fewer travel costs for the driving instructor getting to and from where they pick you up from. If successful you can have a full driving license in a much shorter period of time.